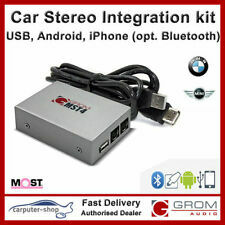 Android Double 2 Din Car Stereo Reveiver MP3 MP5 Player. ★Wireless WIFI Internet Connect. This one with the Lastest tech MIRROR LINK. You can link your phone (support apple and Android) to the play via USB Cable. IN A FULL WORKING ORDER HOWEVER DOES HAVE GENERAL WEAR AND TEAR. FORD Mondeo Mk4 Cmax Smax 6cd CHANGER Alpine 6CD Ford 3S7T-18C830-AD. Condition is Used. Dispatched with eBay delivery – Shutl 2-3 days. MODEL: MONDEO. YEAR: 2015. MAKE: FORD. All engines and gearboxes are tested prior to sale (unless sold as spares or repair). Our warranty covers parts only. Engines are sold bare unless stated otherwise. In working order with code. Manufactured 2008. Serial Number M012824. FORD FINIS NUMBER: 1132651. FORD MONDEO MK3 UNDER SEAT CD CHANGER. TO BE USED WITH RDS CD CHANGER COMPATIBLE CD/CASSETTE PLAYERS. SUITABLE FOR MONDEO MK3 2001 - 2003. 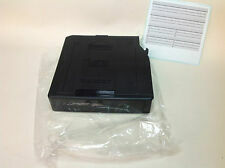 FORD PART NUMBER: 1S7F-18C830-AA. In working order with code. Manufactured 2006. Serial Number M006231. FORD MONDEO MK4 ALPINE BOOT 6 DISC CD CHANGER. SUITABLE FOR MONDEO MK4 2007 - 2010. TO BE USED WITH VISTEON DENSO TOUCH SCREEN SAT NAV. FORD PART NUMBER: 3S7T-18C830-BD. FORD FINIS NUMBER: 1364230. NOTE: NOT COMPATIBLE WITH3S7T-18C830-BB MODELS. MONDEO 2003 -2007 Mk3 Ford 6000CD Radio CD Player. FORD MONDEO Radio/CD/Stereo Head Unit. 2004 FORD MONDEO which we are dismantling. The Part imaged and described is th eactual part you will recieve. Item: Genuine Ford Mondeo Mk3 Face-Lift 2004-2007 Reg Sony 6 CD Player Stereo Radio Head Unit With Security Unlock Code. Parts: Removed from a 2005 reg Ford Mondeo Mk3 Ghia model we are currently breaking for parts. We suggest you to have a trained technician to perform the repairs. Also all part and id numbers will have to match with your vehicles computer unit in order to work. Item has been previously used. Car radio CD card reader map Germany. There can be from the manufacturers production changes in the current models. Construction period The original vehicle data For this reason they are known also with the word ' used ' - so have you ever used. CHANNEL ISLAND. ISLE OF MAN. If a part has been correctly supplied in good working order and is no longer required. All have been tested prior to removal. SCOTTISH HIGHLANDS NDS. FORD MONDEO MK3 ALPINE BOOT 6 DISC CD CHANGER. SUITABLE FOR MONDEO MK3 2003 - 2007. TO BE USED WITH VISTEON DENSO TOUCH SCREEN SAT NAV. FORD PART NUMBER: 3S7T-18C830-BD. FORD FINIS NUMBER: 1364230. NOTE: NOT COMPATIBLE WITH3S7T-18C830-BB MODELS.